It’s almost that time again. 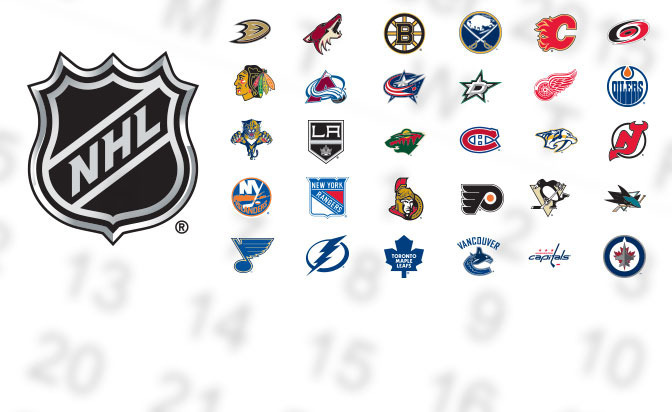 Did you know the 2015-16 NHL season marks the 99th season for the National Hockey League? To some, if feels like hockey just ended, but to us it feels like we’ve been waiting forever for our favorite game to start back up. The regular NHL season kicks off on Wednesday, October 7th with four matchups and it won’t take any time before the rivalries are trash talk pick up where they left off, including the Stanley Cup Champions, the Chicago Blackhawks as they take on the New York Rangers. The Blackhawks won their third championship in just six years and many analysts and fans are wondering – is there anything left? There’s a lot of change approaching for Chicago and maybe that’s a good thing. One of our favorite articles we’ve read over the last few weeks to get us pumped up for the season is this Bleacher Report slideshow showcasing which players have the potential to hit the milestone of scoring 50 goals. Some of those players include Jamie Benn (Dallas Stars), Rick Nash (New York Rangers), Steven Stamkos (Tampa Bay Lightning), Vladimir Tarasenko (St. Louis Blues), and a slew of others. And of course we can’t forget Alexander Ovechkin who has reached the incredible feat of scoring 50 goals in six of his 10 seasons. Another top story starting off the 2015-16 season is whether or not Detroit Red Wings right wing Franzen can come back after last season’s injury. Not his first go-round with injuries, Franzen only took the ice in 33 games due to his post-concussion syndrome and other injuries, but he’s been vocal about battling to get back to the ice. According to war-on-ice.com, Franzen still has five seasons remaining on an 11-year contract (which boasts an average value of $3.95 million annually). Only time will tell for Franzen, the Red Wings, and all of Detroit. While the NHL season lasts a full seven months, hockey fans know every game counts. Only 16 teams will make it to the post-season, and just like every season before, predictions are all over the map. No one knows what’s going to happen, except for the fact each team needs to come out swinging with a strong start. And one last thing before we leave – here’s your weird hockey news of the off-season – the NY Post reported that Sabres winger Evander Kane took out a billboard in Los Angeles in hopes of winning his model girlfriend back. It worked. We can’t help but wonder if the same outcome would happen if a team took out a billboard declaring their desire to be the next Stanley Cup Champion? Anyways, who’s ready for hockey? Keep up to date on other headlines, trades, announcements and more by following the news over at NHL . Click here to view the full NHL 2015-16 schedule to see how you need to plan out the next seven months of your life!